The oldest remaining house of worship on the Outer Cape, the 1827 Meeting House of the First Congregational Parish of Truro is a treasured landmark, a sacred place which has played a central role in community life, and a defining architectural feature of this Outer Cape seaside village for nearly 200 years. The First Congregational Parish of Truro dates from 1709, when the first meeting house was built on the Hill of Storms, North Truro, which gave way in 1720 to another building that stood for over 100 years. 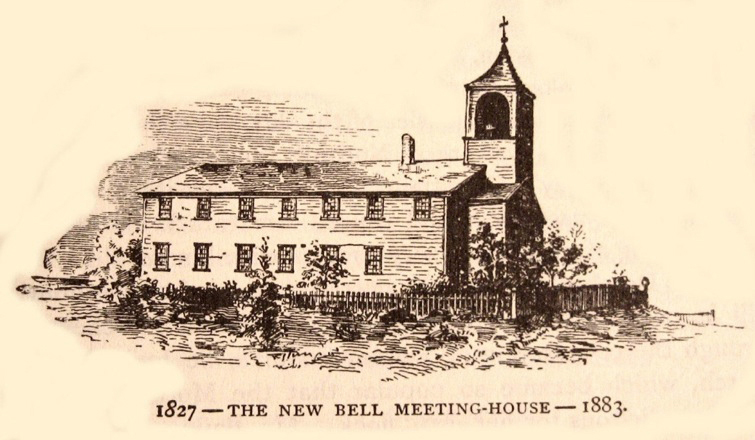 From its earliest days until 1860, the Parish hosted Town Meetings, as every town was required to provide a meeting house for public assembly before it could be officially recognized as a town. As economic development increased along the Pamet River in the early nineteenth century, the focus of the town shifted from Pond Village in North Truro to the Pamet River area. 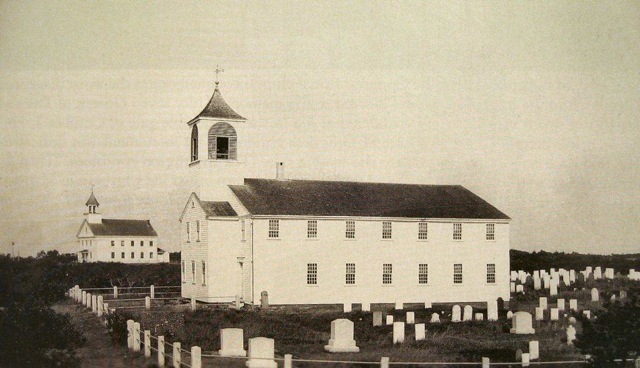 Members of the community living by Pamet River felt that the Old North Meetinghouse was too far to travel for Sunday services and a new Congregational Church, the third in the town, was constructed in 1827 to the north of Pamet River in present day Truro Center. Following the construction of the new meeting house in Truro Center, the earlier one in the Old North Cemetery was taken down in 1840. The land for the Meeting House and cemetery, donated by Freeman Atkins, was originally situated to the south of a windmill owned by Atkins, Allen Hinckley and Samuel Rider. The church’s location on a hill served as a beacon for Truro’s ships. The (adjacent) Congregational Cemetery remains the only cemetery in the town that surrounds an active church. It has been the primary resting place for Truro residents since the church was constructed. From the beginning, the Meeting House served as the social and political, as well as the religious center of Truro. Town meetings were held there, at an annual rent of $25, until the present Town Hall was purchased from its proprietary owners in 1860. The first twenty years of the building’s use coincided with the most prosperous period in the business life of Truro. The harbor was a beehive of activity with fishing schooners coming and going, shipbuilding yards, salt works, sail lofts and warehouses. Just before the Civil War, however, most of the enterprise collapsed, and with it the fortunes of the Meeting House. The architect/contractor was a Truro builder, Solomon Davis. The auditorium is 40 by 60 feet, with a balcony for additional seating around three sides. On the ground floor, box pews with doors are constructed. The balcony is furnished with benched seats. It is a classically simple building, constructed according to the Congregational faith and belief. There is no center aisle, only side aisles, because processions as in other orthodox faiths were not allowed. The cost of construction was $2,673.64, with an additional $320 for a bell from the Revere foundry in Canton, and $123 for a stove and stovepipe. In the fall of 1827, the pews were sold to individuals, raising a sum of $900, and, therefore, bringing the grand total of construction down to $2,216.64. The general form of the church has remained largely the same from the time of its construction to the present day. In 1845, the vestry was constructed, thus shortening the main body of the church. Perhaps about the same time the pulpit was lowered, the galleries no longer being filled. An 865 pound Revere Foundry bell, suspended in the steeple of the 1827 Meeting House is one of the last cast by the famous foundry established by the famed patriot, Paul Revere. The Truro Meeting House and the associated Congregational Burial Ground and Snow Cemetery were listed in the National Register of Historic Places as the First Congregational Parish Historic District, Truro, MA on May 19, 2014. This was part of the Truro Historical Commission’s effort, utilizing Community Preservation Act (CPA) funds, to nominate a number of Truro’s significant public and semi-public historic properties, including the Cobb Library, and Old North and Pine Grove Cemeteries. Provincetown-based historic preservation planner Eric Dray was engaged by the Truro Historical Commission to prepare the application. Barbara Donohue, a cultural resource consultant and archaeologist specializing in historic cemetery research, teamed with Eric on this project. The Meeting House is open for tours in the summer. Contact us to make an appointment and bring your camera. Our Meeting House is a unique Cape Cod landmark and a favorite subject for both artists and photographers.